Hereunder, we want to introduce a kind of equipment connected solid control system and waste management system. It is screw conveyor, or name it auger. It is utilized to transfer solid waste or slurry from solids control system (including shale shaker, mud cleaner or centrifuge) to drilling waste systems for further treatment. The Screw Conveyor is designed to transport drilling waste from one point to another safely and efficiently. This is achieved by the use of a scroll and impeller, which is rotated inside a trough by an electric motor. Drilling waste is fed into the Screw Conveyor and transported along by the rotating scroll. The waste is then offloaded by means of a chute when it reaches the end of the Screw Conveyor. The scroll is sealed inside the trough by a hinged metal lid which is bolted down for increased safety. Where large distances or turns are to be maneuvered it may be necessary to place sections of the Screw Conveyor together. The drilling waste is then transported along a section of conveyor before being fed into the next section. (1) Size – Screw Conveyor systems can be sized according to application to minimize cost and down time. (2) Continuous discharge – eliminates the need for holding tanks. (3) Low power requirement – when compared to pneumatic or slurrification containment systems. (4) Versatile – a variety of lengths can be supplied that are suitable for most drilling conditions. (5) Bearings – various configurations are available subject to application to minimize down time. (6) Maintenance – metal lids are hinged and can be easily removed for ease of maintenance. (7) Safety – all Screw Conveyors feature bolt down metal lids for improved safety. An optional remote emergency shut-down system is available. (8) Minimal operator intervention – requires relatively low levels of manpower for operation. 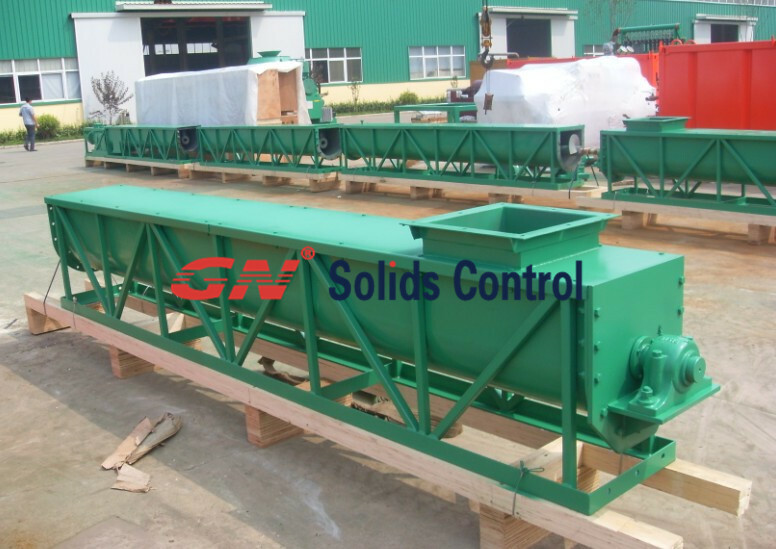 GN Solids Control brand are professional China brand in solid control and waste management field. They offer professional and excellent equipment for drilling company, oil Service Company, and also trading company all over the world. If you require this, pls contact them freely. Fu Yeh is a superior manufacturer for Self Drilling Screws such as hex washer head, hex flange washer heads, modify truss head, large wafer head, and Lotus head with stainless steel head cap and bugle head self drilling screws etc.. Fu Yeh hold honesty as our principle to server customers for long-term cooperation within customers, suppliers and crafts. We also hope that we could build up close partnership for mutual profit.